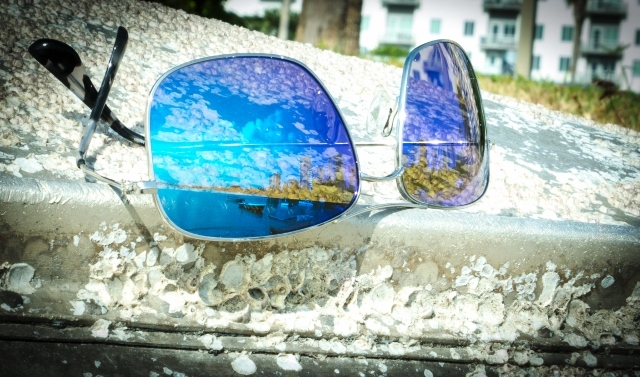 Hope you have enjoyed the week of seeing Sarasota reflected off the lenses of Maui Jim. Today is the final reflection on the beach of Siesta Key where we will be working on our “give and go” speed tomorow. I do a lot of my fitness training on Siesta Key beach. I think it is one of the special places in this country if not the world. Siesta Key is gifted with white “sand” that does not get hot on a summer day. The “sand” is actually a quartz sediment (no one knows why this beach is the only one with a quartz deposit) that does retain heat. So when you are working out in the sand, sprinting, or playing volleyball, your feet will stay cool. Downtown Sarasota is graced with a beautiful harbor and this 27 foot tall statue. 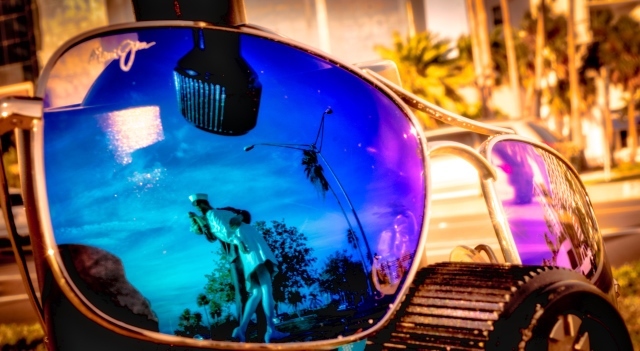 A local landmark in the Sarasota harbor is a replica of an iconic photo taken of a sailor and nurse kissing in Times Square at the conclusion of WW2. It is 27 feet high and weighs 15,000 pounds. 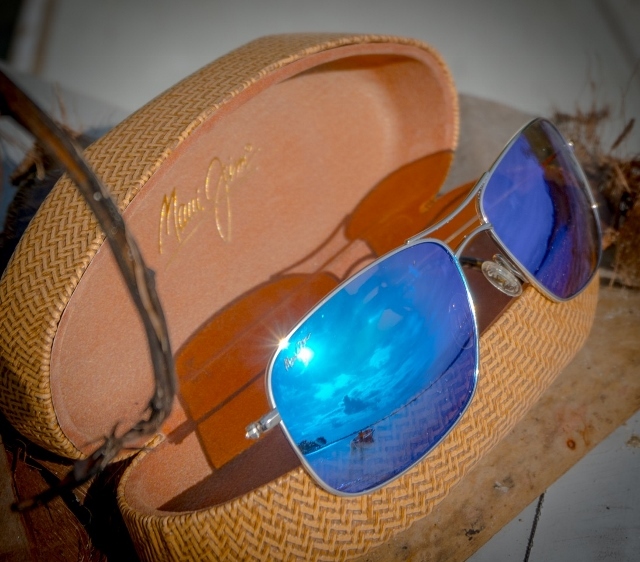 We have taken Maui Jim sunglasses around the world the last six months. Now it is time to share some of our beautiful views here at home in Sarasota. This week we will post one reflective photo each day. 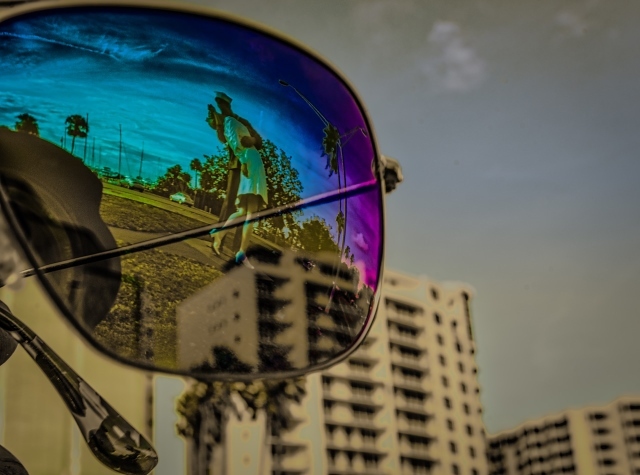 Looking at the lenses of Mau Jim, you will see some of the sites in downtown Sarasota and at Siesta Key, the #1 beach in the USA. 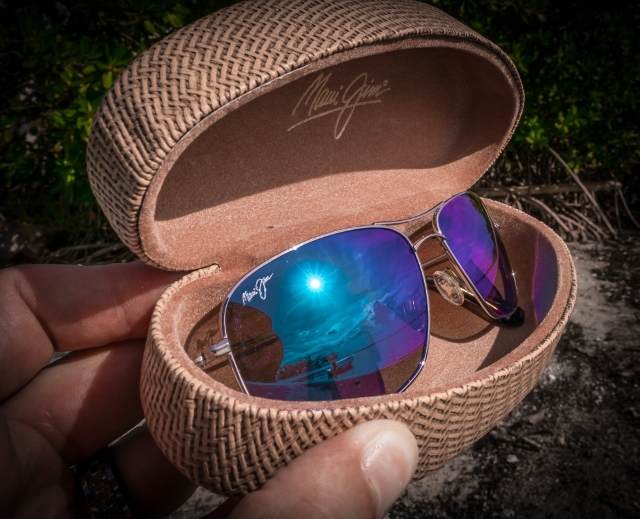 Enjoy the week of Maui Jim reflections!